Bentley is looking to expand its line-up in 2018 with a fifth model, and the luxury carmaker is mulling over a number of ideas. A two-seater sports car could enter production, and a model between the Continental GT and Mulsanne is also being considered. 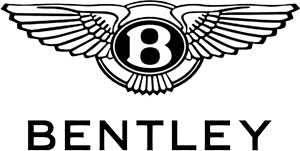 “Our designers are extremely busy right now preparing designs for each of them and we are preparing business cases" commented Wolfgang Durheimer, Bentley CEO. “We will make the decision when we have more information"
The sports car would likely be fitted with the manufacturer's 4.0-litre V8 engine, and include a four-wheel drive arrangement. Durheimer has also suggested that rear wheel drive versions of Bentley models is also a possibility, but not all. A new vehicle between the Continental GT and Mulsanne will most likely be a coupé, as the Flying Spur sits in this gap as a saloon. Durheimer continued to state that concepts of each could be revealed before a final decision is made, and any further information is probable after the release of the firm's first SUV towards the end of 2015. The new Bentley will first need to prove its appeal and that profit is possible before the brand commits, and given its history, any new arrival will be met with excitement. To discover all of Bentley's existing luxury cars, contact Charles Hurst in Belfast and book a test drive when convenient.